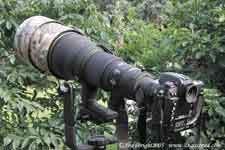 We're not talking about namby-pamby 500mm f4s here! I have recently started using the Nikon 600mm f4 telephoto lens, eager for a little bit more reach and to finally see for myself just how good Nikon's own long prime lenses are against the alternatives, although Sigma do not have anything directly comparable to a 600mm f4. Very few bird photographers can ignore the impressive focal length of the 800mm f5.6 nor the adaptability of the 300mm-800mm f5.6 EX HSM, but the fact remains that a 600mm f4 lens with a 1.4x teleconverter will give you slightly greater reach and still with lightning fast auto-focus. Even using the Nikon TC-17E 1.7x teleconverter, auto-focus is fast and reliable yet gives 1020mm. 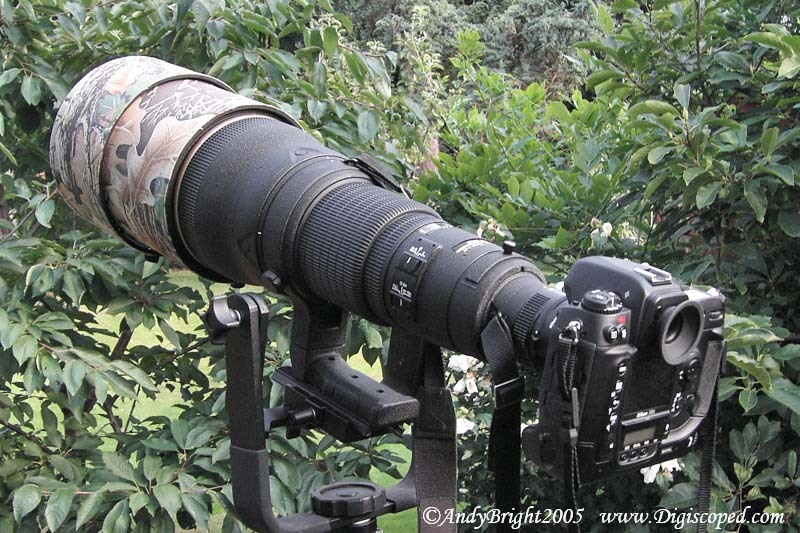 Every bird photographer is tempted by a super telephoto lens, but think very seriously about the consequences... and I'm not talking about your bank account. These are massive pieces of glass and metal and weigh almost 6kgs, with suitable support and a camera we are looking at 10kgs+. They are cumbersome and difficult to transport, notably overseas trips where airliners are becoming more and more fussy... upperclass or 1st class you can get away with it, but on an internal flight you may face problems these days. Unless small songbirds are your mainstay, a 500mm f4 telephoto lens will give you a number of advantages such as weight, size and shorter minimum focus distance. Unfortunately, the penalty you pay for these long telephoto prime lenses is that your minimum focus distance is substantial, 6m in this instance. 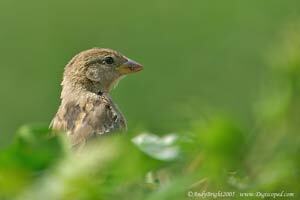 A tiny bird is not likely to fill the frame from 6m away, even with 600mm and a 1.5x camera crop. You can get around this by a couple of methods, notably with the addition of extension tubes fitted between camera and the lens. Extension tubes often come in packs of 3, each one of a different length and using all three together will reduce the minimum focus distance by a reasonable amount. Extension tubes do not contain any glass, so do not have an impact on the quality of the image, though a minor amount of light may be lost, but this is very minor with a super telephoto. One disadvantage of extension tubes is that they prevent the lens from focusing at infinity.... so you may not want to leave these items on your lens as a permanent fixture. I use the Kenko extension tube set, as these give auto focus when attached, where-as Nikon's PK series extension tubes do not transmit AF. There are slightly more options for heads to control these beasts, the full Wimberley gimbal head being number one choice for most. So far, the Manfrotto / Bogen 393 gimbal head is providing more than adequate for the task. Whatever gimbal type head you choose, and there's a reasonable choice today, you will be doing yourself a big favour over the older ball heads and pan & tilt fluids. With a gimbal head, the camera + lens is balanced and means you do not need feel the real weight of the set-up. With a gimbal head you just point the lens where-ever you want and at any angle and you can take you hands away without fearing a crash of lens or camera against the tripod. 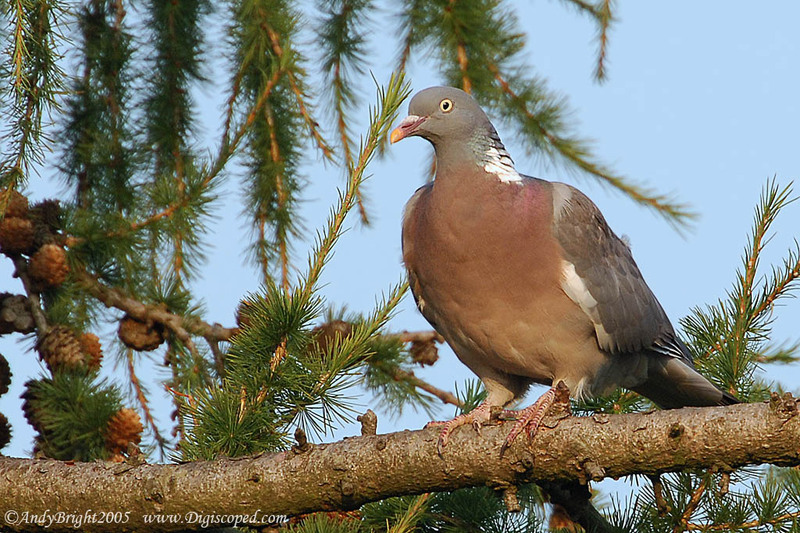 The shots above are with Nikon D2x + TC-14E 1.4x teleconverter + Nikon 600mm f4 AF-S The Woodpigeon was around 60m away, though the image has been cropped before downsizing for the web (but this is still 250kb). 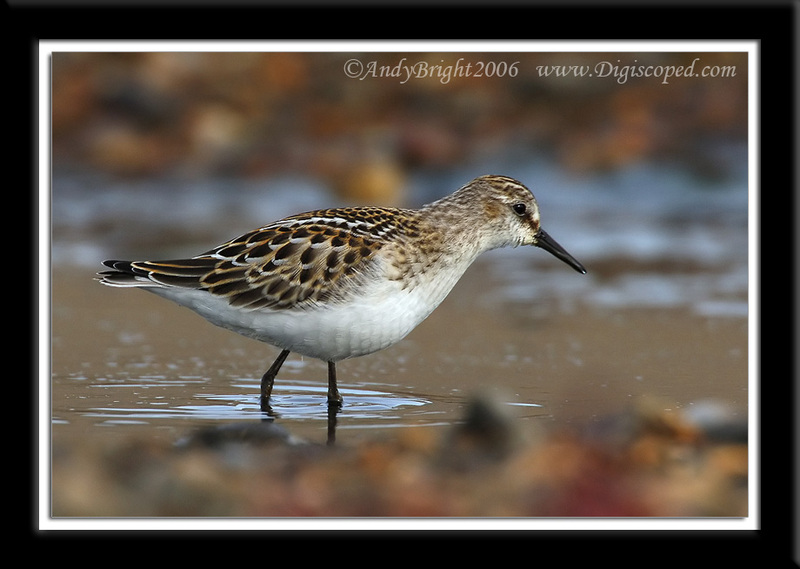 Below, Little Stint with the Nikon 600mm + TC-14E.